Warm milk with peppermint and honey. In a sauce pan, heat one cup of milk, do not boil. Add 1/2 teaspoon dried peppermint. Remove from heat, cover the pan and let it steep for 4 minutes. Strain out the herb, add the milk to a mug and stir in a few drops of honey. Sip while hot. Milk is an excellent source of calcium which helps the brain produce melatonin. Eat half a turkey sandwich on whole wheat or rye bread with a little dab of mayo and 3 or 4 fresh basil leaves. Turkey contains an amino acid that triggers the release of serotonin in the brain. The aroma of fresh basil helps the brain to relax so you’ll fall asleep. Eat the sandwich an hour before turning in. A warm bath or shower will help you relax and get a good nights sleep. Add a few drops of lavender essential oil to the bath water or sprinkle a few drops of the lavender oil on a soapy washcloth and scrub gently. Chamomile has long been used as a natural remedy for sleep. Choose a tea that contains flowers of chamomile and is caffeine free. Thirty minutes before bedtime is the best time for drinking the tea. Catnip– A member of the mint family, not only does it have a sedative effect on cats, but on humans as well. 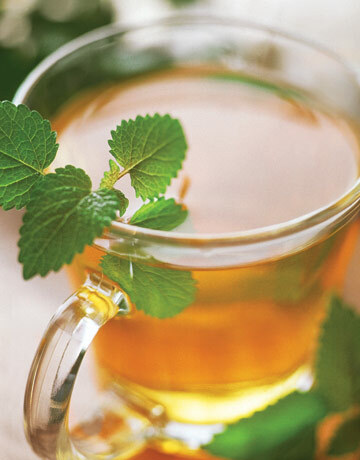 Add fresh or dry catnip to a large mug, a tablespoon is about right for one cup. Pour in 8 ounces boiling water, steep for a few minutes, strain out the catnip and drink while hot. Passionflower– Add one tablespoon of dried passionflower to one cup of boiling water. Steep for five minutes, strain out the herb and drink while hot. You can add a little sugar or honey to the tea. Herbal sachets and small sleep pillows containing roses, mugwort, lavender, marjoram and spearmint when placed inside your pillowcase promotes a beneficial sleep. The herbs fragrance is slowly released during the night and reaches the inner part of the brain during REM sleep. Other herbs that help with sleep are chamomile flowers and lemon balm. This information is based on Traditional and Folklore Medicine which uses natural materials to support health. These statements have not been evaluated by the Food and Drug Administration (FDA) and are not approved to diagnose, treat, cure or prevent disease. If conditions persist, please seek advice from your medical doctor.